Winner drawn on 12/1/13, congratulations to John Wilson of VA! 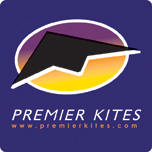 Thanks to the fine folks at Premier Kites, we’re offering another very special raffle exclusively to our AKA Members and tickets will be available through all of November with a winner drawn on December 1st, 2013! 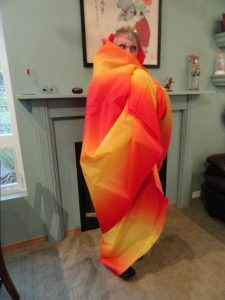 As you know, Premier Kites has the opportunity to work with dozens of interesting materials – this item is a very rare release of a special fabric they had made for their products, and they’re sharing some with kitemaking members of the AKA through this raffle. This is the very same gradient fabric used in various Premier products, this printed fabric is ripstop polyester colored with a dye sublimation process. Premier Kites now adds an average of 2 new printed fabrics to their line each year and sharing this special resource allows beginner kite maker a chance to make a kite without a lot of sewing yet have more than one color on their kite. 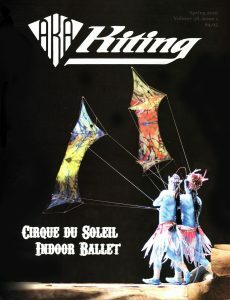 For the master kite maker, this is something that will hopefully unleash endless creativity. Prize material is 60″ wide and over 11 ft. long, approximated 18 1/4 yds.